Explore the powerful lessons in this narrative about the role of seeking, asking questions, scripture study, and personal revelation. 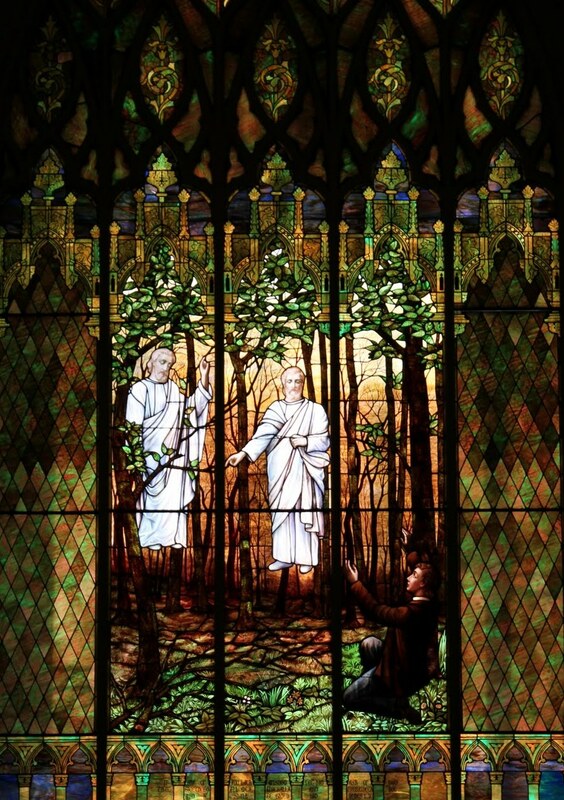 Examine not only the Joseph Smith-History account of the First Vision, but the other historically important accounts Joseph made. Discuss the way scripture is used in gospel teaching. Debbie, Aaron, Alyssa, and Brandt join the class. Post your questions and comments here, in the facebook group, or email them to me at mormonsundayschool at gmail. Richard L. Anderson, “Joseph Smith’s Testimony of the First Vision” Ensign, 1996. Richard Lyman Bushman: Rough Stone Rolling, pages 30-41. Steven Taysom, “Approaching the First Vision Saga“, Sunstone. Go here for the Sunday School Reader with all the passages. You can access my Reading Notes here (which also form the bulk of my Lesson notes).